In light of the current police actions against the homeless in Humboldt County, which has involved some confusing statements by the police and others in authority, we are posting this photographic timeline of the events of the dismantling of the Occupy Protest in Eureka. The timeline reveals patterns of deception, confusing language from the County and the City, and outright violations of Civil Rights, all culminating with the infamous Urgency Ordinance. It might be the right thing to do, to compare these two municipal actions. Created by Janelle Egger. Oct 20- County received letter that requested the county allow Occupy Eureka to install a portable toilet. Dec 2- County posted memo from Risk Management placing restrictions on protest activities, including no camping, no structures, and no attaching objects to County property. Feb 5- District Attorney met with six people affiliated with Occupy; agreed to review Penal Code regarding signs. Feb 13- Chief Harpham, email: “Eureka Police Officers will no longer enforce Penal Code section 602(f) at the Court House (attaching signs to the fence…)” States that they will continue to respond to all complaints. March 6- District Attorney released Prosecution Guidelines, which state that until there is case law that applies, Penal Code 602(f) should not be charged for affixing signs associated with the freedom of speech, assembly and petition. March 27- Board of Supervisors passed "Urgency Ordinance" immediately adding Chapter 2.5 to the Humboldt County Code. It includes restrictions on signs, shelter, food, tables and other personal property, and presence in front of the Courthouse. In this case, plaintiffs challenge defendant-city’s camping ordinance, which prohibits extended camping on public or private property without a permit. Plaintiffs assert that the camping ordinance is unconstitutional and that the City enforces the ordinance in a discriminatory manner. Judgment of dismissal is reversed with respect to the first cause of action for declaratory judgment, and affirmed in all other respects, where plaintiffs adequately stated an as-applied challenge to the ordinance based on equal protection. In this case, plaintiffs brought suit after they were threatened with arrest and arrested for chanting loudly in protest of an organized walk by public officials and others through Los Angeles' Skid Row. Plaintiffs challenged California Penal Code section 403, which makes it a misdemeanor to "willfully disturb or break up any assembly or meeting that is not unlawful in its character, other than an assembly or meeting referred to in section 18340 of the Elections Code." The district court's summary judgment dismissing the action is affirmed in part and reversed in part, where: 1) CPC section 403 is not unconstitutional on its face; but 2) section 403 was unconstitutionally applied to plaintiffs' activities; 3) the plain language of the statute and its legislative history demonstrate that section 403 does not cover political meetings, as here; and 4) because plaintiffs' activities fell within the exception carved out by Elections Code section 18340, CPC section 403 did not criminalize plaintiffs' conduct. On Wednesday night, the ACLU Board was surprised to find Andy Mills, the Eureka Police Chief, as a guest to our monthly meeting. Though most of us were unaware that he was going to attend this meeting, our lack of preparation for this opportunity did not hamper the discussion. Andy told the Board that he was open to any questions, an offer which the Board enthusiastically accepted. Greg Allen began the discussion by referring to our recent activities in advocating the use of police body cams. Mills responded that the cameras would benefit the operations of the department. The City currently does not have any cameras in use, but they are making plans to implement them. One problem with the use of cameras by all police is that computer storage becomes a problem. The amount of video created by one police department in one day will take terabytes of information. Plans are in the works to upgrade the computers at the department. They also are implementing CAD programs, which will be useful in providing GPS information about crimes and other statistics. These statistics will be available to the public, and might permit online queries to the database. Software is available which may make video records of arrests available through the internet. There are a few ethical issues, which need to be worked out. One relates to the issue of privacy, which might occur if an officer answers a call to a private residence. Janelle Eggers and other Board members asked about how the police were dealing with the homeless in Eureka. He revealed that he has a strong mandate to clear up the homeless camps. He said that they are making some efforts to deal with homeless people in a humane way, however. He mentioned a new program, MIST, in which a police officer and an mental health professional work together to identify the mentally ill homeless, and to persuade them to accept services. He would like to expand this program, but the lack of sheltering facilities remains a problem. 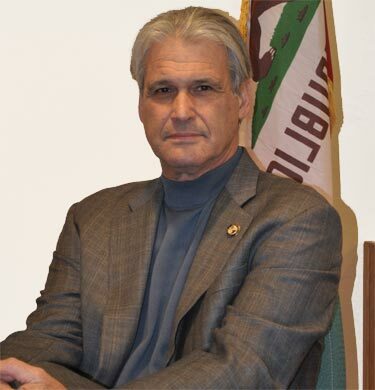 Steven Bridenbaugh asked if clearing out homeless camps increases the stress of lack of housing, and Mills did not dispute this assertion. He says that he is applying for Measure Z funding. This will make it possible to house homeless people who are displaced, specifically those who are mentally ill. He said that most of the police calls he receives are from citizens demanding he do more to rid neighborhoods of homeless people. This is something the police cannot do, but removing camping areas tends to rout out the criminal element that frequents these camps, Mills believes. Mills would like to improve the existing Crisis Intervention Program by adding activities which are more meaningful to the police in attendance to training sessions. He mentioned an activity in which he participated in San Diego, where actual cases of police violence against mentally ill or intoxicated people were reenacted. Many of the participants did not see any options other than to use their firearms. Several policemen were identified as being unwilling to look at nonviolent options, and were entered into a reeducation program. He said there are training programs available which specifically teach police to reduce their dependence on firearms. One training that is currently scheduled is deescalation training, in which officers learn to prevent an encounters with homeless and intoxicated people from escalating into violence. Mills gave an example: police sometimes start shouting orders to a suspect, and start shooting when the suspect does not respond quickly enough. This type of escalation can be prevented, he said. Mills said that he has been spending a lot of time going through the individual files of police officers. He has been systematically analyzing the accumulated complaints which are in these files, and he is trying to assess to what extent these complaints reveal a pattern of violence or misconduct for each officer, if any, and to sort out and validate each accusation, to protect the public from officers with a history of abusive behavior. Mills is also investigating the possibility of hiring a few well-respected experts from out of the area, to clear out the doubts which the public may have about past police behavior, and put to rest any issues which have arisen from the lack of transparency in the past. This would cost about $50,000, which he feels would be well worth the money, though it may take some private fundraising, if it is to occur. He says that he avoids the appearance of protectionism by referring any criminal behavior by police personnel directly to the District Attorney's office. Another issue which Mills addressed is the possible formation of an advisory group to the Police Department. He thinks that some of these organizations are not always very cost effective, but they can provide an acceptable type of police review, not only for personnel issues, but also for many other police activities. There has been resistance in the past against independent police review, due to municipalities afraid of lawsuits, and police unions protecting their members. He feels that an open-ended board of citizen input could increase fairness and impartiality in cases of police misconduct, and provide guidance to the overall operations of the police department. On November 18, 2014, the Board of Directors of the Redwood Chapter of the ACLU of Northern California unanimously adopted a resolution calling for all peace officers in Humboldt County to wear body cameras while on official duty. In a study conducted by the Rialto Police Department and reported in the New York Times on April 6, 2013, entitled "Wearing a Badge, and a Video Camera," it was found that body camera use by police reduced use-of -force incidents by 60%, and reduced citizen complaints against the police by 88%. In the past ten years, police in Humboldt County have killed Cheri Lyn Moore, Christopher Burgess, Martin Cotton, Gabriel Cuevas-Maldonado, Jonni Honda, Zachary Cook, David Sequoia, Robert Garth, Eloy Infante-Toscano, Peter Stewart and Tommy McClain. Clearly, change is needed. The death of Cheri Moore did prompt some reforms in how police handle mentally ill people locally, and those reforms are to be applauded. We believe that introduction of mandatory body cameras will benefit both citizens and police. Just before the Board meeting this Tuesday, I went out to my car for a few things, and recognized Larry Glass. "What have you been doing with yourself?" I asked him. He said that he has been trying to keep under the radar, since he sold his business, and is no longer involved with politics in Eureka. He said that he intended to go to the Board meeting. I told him to go right in, a few members were already there, and the meeting hadn't started yet. Larry told the Board that he was very upset about the last police shooting incident, in which Tommy McClain was shot by police because he possessed an unloaded BB replica handgun. (see North Coast Journal, http://www.northcoastjournal.com/Blogthing/archives/2014/09/17/eureka-police-shoot-kill-suspect) Larry said that he feels qualified to raise questions about the actions of the police because he was trained in a police academy in Los Angeles, and worked for several years with teenage gangs. The investigation of the incident is ongoing, but Larry sees a lot of red flags appearing out of the information that is publicly available. (see Justice for Tommy McClain, https://www.facebook.com/JusticeForTommy) He believes that the officers involved did not follow police procedures, and that there are glaring discrepancies between how they reported the incident, and what relatives of Tommy McClain are saying. According to Tommy's relatives, Tommy was upset about the activities of the neighbors next door. The house was in fact, being watched by police for drugs and other criminal activity. The police observed Tommy arguing with one of these neighbors, and reported that they saw that he had a gun. Larry feels that the officer in charge was irresponsible for leaving his car, not turning on the camera, and approaching Tommy on foot, and drawing his own weapon unnecessarily. If he felt that McClain was dangerous, he would have approached him more carefully. It is unlikely that McClain would make a grab for his own gun, since it was unloaded. Since the camera was turned off, the officer's statements are less likely to be challenged. But their actions as police officers was questionable, to anyone familiar with established police practices, Larry asserts. Greg Allen, Chairman, told Larry that the ACLU Board has been discussing the value of police body cameras, and that we are advocating their use in this area. Mr.Glass said that he agreed that body cams would be very effective for preventing a lot police violence, and would lend his name to our effort to advocate their use. Peter Martin, Board member, said that the Eureka Police department has already lost a lot of money to victims of police killings, and stands to lose its current insurer after an incident such as this. The adoption of police body cams might become necessary to retain this insurance, he concluded. 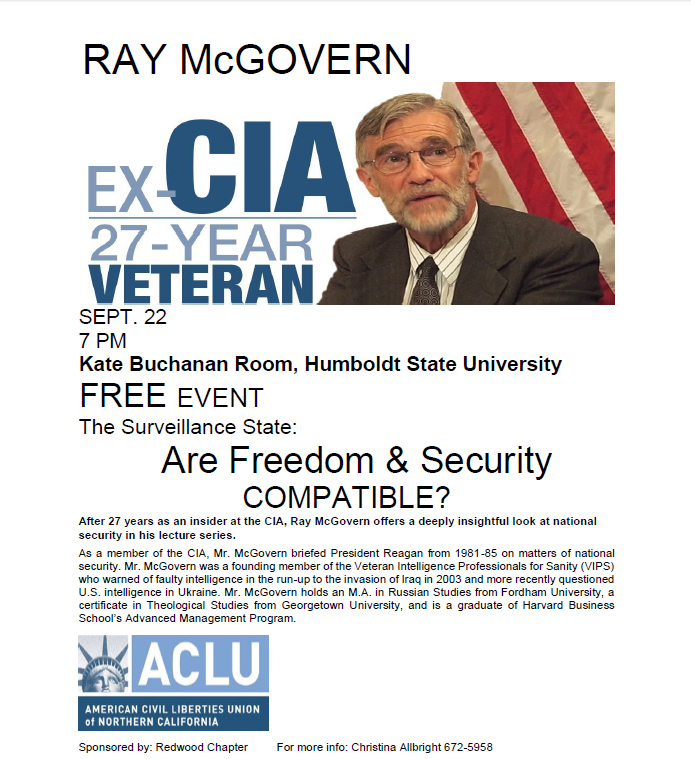 ACLU of Northern California Redwood Chapter is hosting a special event with Ray McGovern, a CIA veteran, whisleblower and anti-surveillance advocate. Thanks to Andrew McFarland-- full coverage of our Annual Meeting. Includes Richard Salzman's acceptance speech for the Patriot Award, and the outstanding panel discussion later in the evening. Also, coming soon: a video of the entire event, produced by Andrew McFarland, will soon be available from Access Humboldt. We owe them thanks for volunteering to work at our event! On Monday, April 1, 2013 (no fooling!) 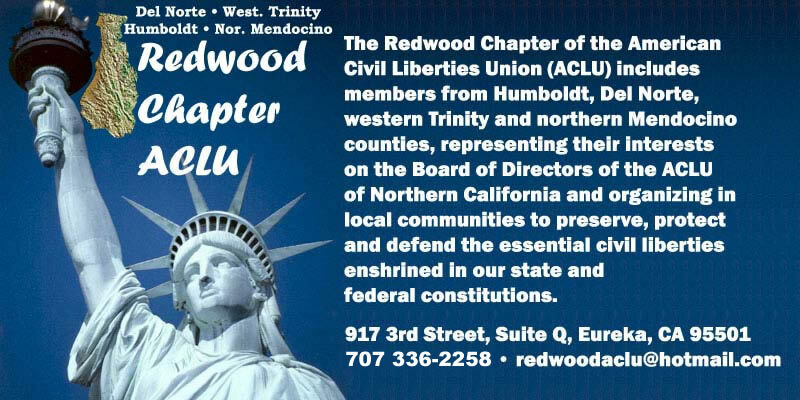 please join your fellow lovers of liberty for the Annual Meeting of the Redwood Chapter, American Civil Liberties Union. 2012 Redwood ACLU Patriot Award. The Redwood Chapter of the American Civil Liberties Union is holding a Candidates' Debate on Civil Liberties for the candidates for Eureka City Council (Ward 2) on Wednesday, September 12th from 6:00 p.m. to 7:30 p.m. on live television -- Access Humboldt Channel 11 -- out of the Community Media Center studio at Eureka High School. This debate will be held before a televised audience and in cooperation with independent producers working with Access Humboldt it will also be aired several times on public access Channels 11 & 12 and will likewise be available for later viewing on-line. The debate will be moderated by Redwood ACLU Treasurer Peter Martin, and shall be staffed by other members of the Board of Directors of the Redwood ACLU, although any persons who have made any sort of campaign contribution or endorsement of any of the candidates in this year's election are excluded from involvement. "The voters of Eureka actually have a contested race in this ward," Redwood ACLU Chair Greg Allen said. "The Redwood Chapter ACLU is pleased to be able to give the candidates a forum, and the voters a chance to hear and see what the candidates have to say." The candidates have already expressed their willingness to participate in this debate, and both Linda Atkins and Joe Bonino are expected to attend. It is believed that this will be the first TV debate between the incumbent and challenger for this seat. The debate sponsors held a successful televised debate for First District Supervisor earlier this year featuring Rex Bohn, Annette De Modena and Cheryl Seidner, with more audience questions flooding in than there was time for. The Redwood ACLU kicked off this program by holding the only televised debate for all candidates for the Northern Humboldt High School District in 2005 at the Senior Room of the Arcata Community Center, and has also presented civil liberties-oriented forums for local city council races over the last seven years. In 2010, the Redwood ACLU hosted two televised debates, in both the primary and general elections, for all of the candidates running for District Attorney of Humboldt County -- the October 2010 run-off debate between Paul Gallegos and Allison Jackson was the first live event to be televised from the Access Humboldt studio at Eureka High School. The Redwood ACLU, based in Eureka with over 850 members across the North Coast, is a non-partisan organization that never endorses or opposes candidates for public office. The format of the debate will start with opening statements and an airing of the candidate’s views on questions posed by the moderator concerning civil liberties issues in Humboldt County. All other questions will be posed by phone-in questions from the television audience at (707) 336-2258 (in addition to Twitter questions @redwoodaclu and e-mail questions to redwoodaclu@hotmail.com), followed by closing statements. Each candidate will have the opportunity to issue rebuttals to the statements of the other. Members of the press or public with questions may contact the Redwood ACLU at (707) 336-2258 or redwoodaclu@hotmail.com, or drop by our office at 917 Third Street in Old Town Eureka. The Redwood Chapter of the American Civil Liberties Union is holding a Candidates' Debate on Civil Liberties for the candidates for Humboldt County Supervisor (1st District) on Friday, May 25th from 6:00 p.m. to 7:30 p.m. on live television -- Access Humboldt Channel 11 -- out of the Community Media Center studio at Eureka High School. The debate will be moderated by Redwood ACLU Boardmember Christina Allbright, and shall be staffed by other members of the Board of Directors of the Redwood ACLU, although any persons who have made any sort of campaign contribution or endorsement of any of the candidates in this year's election are excluded from involvement. "The debate allows the voters to get a handle on what the candidates have to say in this important election," Redwood ACLU Chair Greg Allen said. The candidates have already expressed their willingness to participate in this debate, and all three (Rex Bohn, Annette De Modena and Cheryl Seidner) are expected to attend. The Redwood ACLU held the only televised debate for all candidates for the Northern Humboldt High School District in 2005 at the Senior Room of the Arcata Community Center, and has also presented civil liberties-oriented forums for local city council races over the last seven years. In 2010, the Redwood ACLU hosted two televised debates, in both the primary and general elections, for all of the candidates running for District Attorney of Humboldt County -- the October 2010 run-off debate between Paul Gallegos and Allison Jackson was the first live event to be televised from the Access Humboldt studio at Eureka High School. The Redwood ACLU, based in Eureka with over 850 members across the North Coast, is a non-partisan organization that never endorses or opposes candidates for public office. The format of the debate will start with opening statements and an airing of the candidate’s views on questions posed by the moderator concerning civil liberties issues in Humboldt County. All other questions will be posed by phone-in questions from the television audience at (707) 336-2258, followed by closing statements. Each candidate will have the opportunity to issue rebuttals to the statements of others. Presented by the Redwood ACLU Board of Directors. Annual Election held on April 23, 2012 at 6:00 p.m. in Bayside. Current Redwood ACLU Boardmembers Steve Bridenbaugh, Stephen Davies, Peter Martin, Xandra Manns, Jack Munsee, and Timothy Such are midway through their two-year terms on the Board of Directors, and are thus not subject to this election. Members may make additional nominations from the floor at the time of the election to run as valid write-in candidates. The Redwood Chapter of the American Civil Liberties Union is holding a Candidates' Debate on Civil Liberties for the candidates for Eureka School Board, to be held on Wednesday, October 26th from 7:00 p.m. to 8:00 p.m. on live television -- Access Humboldt Channel 11 -- out of the Community Media Center studio at Eureka High School. The debate will be moderated by Redwood ACLU Boardmember and Eureka resident Xandra Manns, and shall be staffed by other members of the Board of Directors of the Redwood ACLU, although any persons who have made any sort of campaign contribution or endorsement of any of the candidates in this year's election are excluded from involvement. Unlike previous ACLU debates, one of the candidates for this public office has so far indicated their unwillingness to participate. Judy Anderson, the incumbent running for re-election to the Eureka School Board, sent the Redwood Chapter an e-mail indicating her decline of the invitation. She wrote: "I believe an open format debate with questions coming from a live audience provides a fairer forum," even though, like the League of Women Voter's forums traditionally broadcast live on KEET TV, there will be a live television audience calling in their questions for the candidates. "To even say that is patently absurd," Allen retorted. "History has shown that the debates we sponsor have been unbiased and impartial." The Board of Directors of the Redwood ACLU met last week and unanimously determined to hold the debate regardless. There will be a chair held open for Judy Anderson; the other candidate, Susan Johnson, has already agreed to appear and participate without any demands to change the debate format. The format of the debate will start with opening statements and an airing of the candidate’s views on questions posed by the moderator concerning civil liberties issues in Humboldt County. All other questions will be posed by phone-in questions from the television audience, followed by closing statements. Each candidate will have the opportunity to issue rebuttals to the statements of others. Members of the press or public with questions may contact the Redwood ACLU at (707) 442-4419 or redwoodaclu@hotmail.com, or drop by our office at 917 Third Street in Old Town Eureka. The Board of Directors of the Redwood Chapter, American Civil Liberties Union expressed concern today over the pattern of practices by City of Arcata officials in relation to the annual “4/20” marijuana legalization protest in Redwood Park, which falls every year on April 20th. The ticketing of members of the public in an arbitrary and capricious manner. Redwood ACLU Boardmembers will be on hand tomorrow to act as observers. The Redwood Chapter, ACLU represents over 850 ACLU members across Del Norte, Humboldt, Western Trinity and Northern Mendocino Counties. 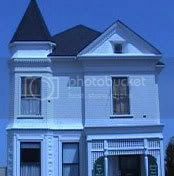 Their offices are located at 917 Third Street in Old Town Eureka. For more information, call the Redwood ACLU at (707) 442-4419 or visit redwoodaclu.blogspot.com. Please join your fellow lovers of liberty for the Annual Meeting of the Redwood Chapter, American Civil Liberties Union! Our keynote speaker is Dan Hamburg, former Congressman and newly elected Supervisor of Mendocino County. He'll discuss the future of civil liberties on the North Coast and take your questions! The event starts at 6 p.m. with a potluck and music by Joe Garceau, followed by the election of our 2011 Redwood ACLU Board, our keynote speech and the awarding of the 2010 Redwood ACLU Patriot Award to a local civil rights champion. The Board of Directors of the Redwood Chapter, ACLU will meet Tuesday, January 18th at 12:00 p.m. at the ACLU office at 917 Third Street, Suite Q (between J & K Streets) in Eureka. The agenda will include an update on the implementation of Eureka's medical marijuana ordinance; an update on Humboldt County's Law Enforcement Committee; review of potential legal action against the City of Arcata over their anti-panhandling ordinance; updates on election reform efforts; discuss revisions to next year's nominating process for the Patriot Award; reports from Chapter officers and committees; and consideration of other items which Boardmembers or at-large members may bring up. Board meetings are open to all ACLU members in good standing. Please call 442-4419 or drop by our office for more information or to request the inclusion of a new item on the meeting agenda. Presented by the Redwood ACLU Nominating Committee to the Board of Directors. Annual Election held on January 31, 2011 at 6:00 p.m. in Bayside. Current Redwood ACLU Boardmembers Greg Allen, Parke Bostrom, Charles Douglas and Minerva Williams are midway through their two-year terms on the Board of Directors, and are thus not subject to this election. Redwood ACLU Nominating Committee Tuesday Nov 16th 11:15 a.m. The first and only meeting of the year for the Nominating Committee of the Redwood Chapter, ACLU will meet on Tuesday, November 16 at 11:15 a.m at our office at 917 Third Street in Eureka. The members of the Nominating Committee include three current Boardmembers and two at-large ACLU members who are not currently on the Chapter Board: Greg Allen, Charles Douglas, Steve Bridenbaugh, Xandra Manns and Jamie Rose. This committee is charged with developing a slate of up to eight  candidates for consideration by the Chapter Board for new two-year terms on the Board. The Chapter Board will then adopt this slate, with or without amendment, to be presented to the Redwood Chapter membership to stand for election to the next Chapter Board at the Annual Meeting on January 31st, 2011 at the Unitarian Universalist Fellowship Hall in Bayside, CA. The Board of Directors of the Redwood Chapter, ACLU will meet Tuesday, November 16th at 12:00 p.m. at the ACLU office at 917 Third Street, Suite Q (between J & K Streets) in Eureka. Does Arcata need a SWAT team?